Constant change and relentless competition make every organization's strategic alignment challenges unique. 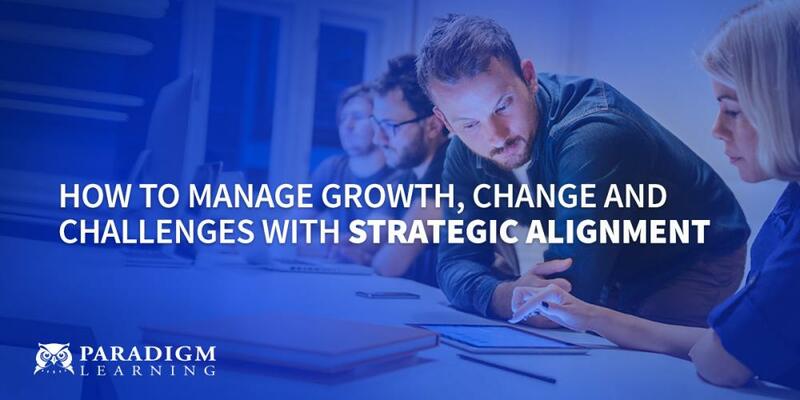 When evolving business and financial strategies, mergers and acquisitions, new processes, and other change initiatives are front and center, crystal clear communication that increases each employee’s alignment and commitment to change is critical. Employees at all levels and in all jobs must understand the marketplace issues driving change, where the organization is going, why change is required, and how they fit into the picture of success. Discovery Maps® are fully customized learning solutions – communication tools that deliver a large amount of information in a short amount of time. By supplementing the power of discovery learning activities (learning through action) with meaningful, contextually rich visuals, Paradigm Learning creates experiences that transfer key knowledge and critical messages with unrivaled clarity. Participants gather around a colorful table-sized Discovery Map that serves as the centerpiece of the learning experience. In a classroom setting, participants work together to explore content, discuss issues, draw conclusions, and develop new insights, motivation, and commitment. Competitive games, challenging scenarios, realistic simulations, videos, and online activities can be added to the experience to ensure long-term knowledge retention and influence behaviors on the job. They can complement or energize an existing change or serve as key communication tools at a corporate event, including sales meetings, all-employee retreats, and client meetings. Discovery Maps are self-driving solutions. Once implemented, they require little to no facilitation. Participation is driven by cards or tablets, break-out sessions, and group activities. We know that a great culture and employee engagement is imperative for organizational success. Create a vision your entire team can rally behind. Learn more about the power of Discovery Maps by checking out our video.